All events in place Kampor ! Characteristics: With a view to the sea, in silence, idyllic location, with terrace, sea side. Environment: Ability to use barbecue. 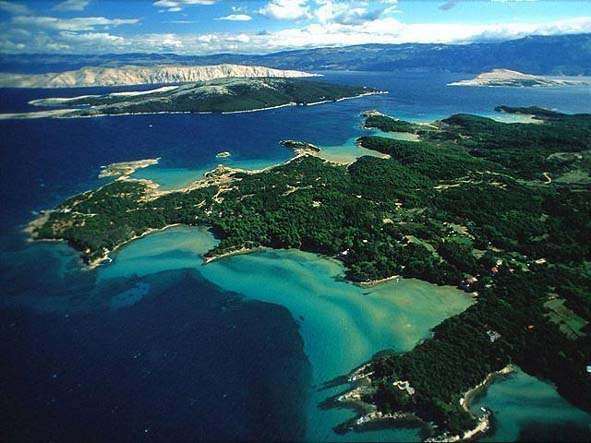 Kampor place is a tourist town in the northwestern part of the Kvarner island of Rab, situated in the bay Kampor whose residents traditionally fruit. Of all the places on the island of Rab, Kampor kept most authentic look of an old fishing village atmosphere of the place where our guests with home-grown vegetables and fruits from the garden, offers a daily fresh fish.Would you like to feel a real home atmosphere, have a quiet afternoon in the shade of lush Mediterranean vegetation and be away from the hustle and bustle, the Holiday Kamporu. If you want a party, you will find is 6 km away, in the town of Rab and only few kilometers away. Due to the shallow bays in Kamporu can not build a dock for larger boats and is very Kampor facing 5 km away the city of Rab, where the main port for larger ships. Tourist Village Suha Punta. . In Kamporu the church and monastery sv.Eufemije. Within the monastery are two churches. Older church dates from the 13th sv.Eufemije In front of the church the Franciscans settled 1445th, a year later Rab aristocrat Peter de Zaro build their monastery and church of St. Bernard greater. 1699th the church was rebuilt and Baroque style - the Gothic windows were replaced with a semicircular Baroque. Since then, it boasts a tabulatum - wooden coffered ceiling is divided in 27 rectangular crates, which were shown scenes from the life of Francis of Assisi. Attracts attention and is worth a Gothic wooden crucifix from the 15th century lies in a special chapel of the church. One place that has retained most features of the old fishing village, nestled among the natural richness of the protected forest reserve "Uncle" on the peninsula Kalifront - an oasis for hikers and cyclists, variety of stone and sand beaches, ecological and agricultural products, good restaurants, it`s all Kampor the charming play between old and new, just the extent of modern, contemporary man.